Just like any other year, I spent a few hours crafting a budget for the 2015 holiday season. 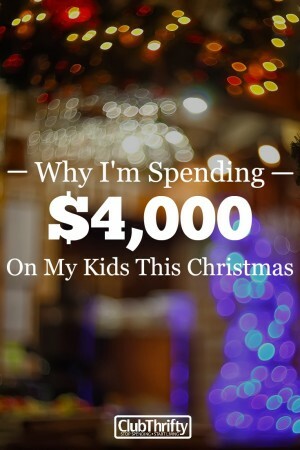 In it, I estimated the cost of buying gifts for all of my nieces and nephews, my own children, and all of the other family members and acquaintances we shop for. But this year, I did something a little different. Instead of setting aside $200 or so for the kiddos, I carved out around $4,200 to spend on their holiday gifts. Sound crazy? I assure you it’s not. Before you roll out a lecture on how I’m spoiling them for life, let me explain. I’m not spending $4,000 on toys, a pony for our backyard, or a bunch of crap that will likely be thrown away within 12 months or less. Instead, we opted to put around $4,000 in their 529 accounts for college. You with me now? In a minute, you’ll understand why. I want to help my kids avoid crushing student loan debt. The fact that average student loan debt in the U.S. recently surpassed $35,000 per indebted student should scare the hell out of anyone with children – no matter the age. I can’t fathom watching my child begin adulthood with that kind of burden, and I want to do everything I can to help them avoid it. I want to pay for my children’s college education. Aside from helping my children avoid debt, paying for their college is a goal and dream I have had since they were babies. Even when we didn’t earn as much, I still tucked away around $25 per month into their college 529 accounts. I’m so proud of how much we have saved so far, and consider it one of my life goals to take it all the way. An education is a gift that will last a lifetime. Toys will eventually make their way into a landfill or garage sale bin, but an education is a gift that lasts a lifetime. We may not have the biggest and best games or gadgets around this house, but I hope the money we spend on their higher education will lead to a better life than if I hadn’t saved anything. Studies show that college graduates make at least 85 percent more money over their lifetime vs. those with just a high school diploma. In my eyes, that means the money I’m saving could translate into a better life for my children – and quite possibly my grandchildren, too. Our state offers a generous tax credit. Our state (Indiana) offers an incredibly generous incentive to get people to contribute to a college savings 529 account. Every year, we earn a 20% tax credit on the first $5,000 we contribute, which means we get $1,000 back on our state income taxes at tax time. So, not only is our money allowed to grow tax-free over time, but we’re earning 20% cashback (up to $1,000) every year on money we stash away. That’s pretty sweet when you think about it, and just another reason why saving for my children’s college education makes so much sense. Toys and books mean a lot to my kids now, but they will mean nothing when they get old enough to schlep into adulthood with the rest of us. But, the money I save for them now could mean the difference between them earning a college degree without the burden of debt or them struggling to get by at a time when they should be dreaming about the future. They’re just six and four-years-old now, but they’ve got a lifetime ahead of them. And, if I have anything to say about it, they will be able to follow their dreams without borrowing from their future selves. My kids laugh at me now. “Mommy, you’re so cheap,” they’ll say each time I say no to a snack or a new toy. One day, I hope they’ll understand. Does your state offer an awesome tax incentive for college savings? Have you started stashing away money yet? NextIs Amazon Prime Worth It? What a great gift Holly. Our state does offer a nice tax break for 529 savings. We start saving in them for all three of our children early this year. Hoping to increase the contributions in 2016. Have a very Merry Christmas! That’s an awesome gift and a great idea. And yeah, I definitely appreciate the $1,000-or-so buffer on my state taxes. That is the best Christmas gift you could give to your children! We opened & seeded accounts for our children for their first Christmases and do regular contributions as well as putting most gift money they receive in their funds. Our state also offers really good tax incentives for contributions. Hopefully we can gift some larger chunks after we reach our next goal–early mortgage payoff in 2016. I love this gift idea! We are currently saving for our 5-year old’s 529 account. We will be starting shortly for our 6-month-old. I aspire to be able to contribute larger sums in the future. It will definitely pay off in the long run. That’s awesome! We did just $25 per month for a long time. It still adds up. I think that’s an amazing gift! They might now understand what you’ve done for them now, but they will appreciate it when they can go to school without crippling student loan debt. I was hoping it was for this reason! We have a lot of clients who do this same – it’s amazing. Congrats!!! Sounds smart to me — and it’s fantastic that you can afford to do this! You’re right that your girls will thank you. Of course, you could make them appreciate it even more by having them take out the loans and then surprising them at graduation. ha I knew the title was misleading knowing you guys! I think that’s great. They may not know it or appreciate it now, but someday they will! Awesome!! I totally agree that college savings is the best gift you can give. With these 529 plans though—what if neither decide to go to college? Where does the money go? I’ve always wondered this. I live in Ohio and I think the rules are that they money can go to ANY family member but still has to be used for college expenses. Is that right? You can take the money out any time, but it is subject to income taxes and a penalty, if applicable, if not used for qualified college expenses. So I could take it out for anything I wanted if it ever came to that. I’m sure one of my kids will go to college at the very least, so this isn’t something I worry about anyway. Great gifts! One that will set them off on a great path in life later on. Merry Christmas !!! We get no tax breaks for RESPs (registered education savings plans) in Canada but what we do get is free money from the government. They give an additional 20% of money into the account to a lifetime max of (i believe) $7,200. We all like free money! So while we get no tax breaks from saving we get free money…and when the money is withdrawn it is withdrawn under the childs identity and they will pay taxes on it as income but because they’re young and likely have little to no income at 18yrs old they’re almost tax sheltered…and if they never use the money it can be rolled into retirement savings for us less government grant contributions. Best gift you could ever give them!!! Ha! 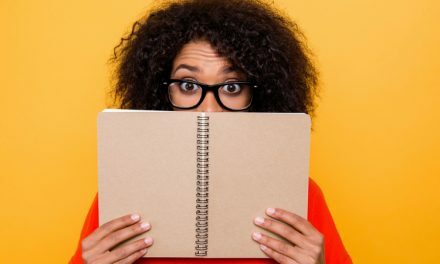 You know, as soon as I saw your blog post title, knowing you, I thought “She put money in 529s for the girls.” My hubby and I were fortunate enough to graduate student loan debt free and after working with so many clients who struggle in life over their student loan debt, it’s a gift we want to give our son. We know it delays our own retirement, but it’s a “sacrifice” we are more than willing to make. LOL, my first thought when I read the title was “Oh no! She’s gone over to the other side!” But then I realized that this couldn’t possibly be the case. 🙂 Smart move, Holly. I know the girls will thank you immensely for it when they do graduate without student loans. Good for you and Greg! A wonderful gift to your children. I looked into 529s and was going to write a post about them, but got overwhelmed by how much they vary by state. When we have kids you know we’ll be maxing out those 529s! On a side note did you hear Obama’s proposal to tax 529s to help fund “free community college for everyone?” Thankfully I think that fizzled away, but I know it was proposed about a year ago. I think it’s ridiculous to punish people who set aside $ for their kid’s college educations, and this is coming from someone whose wife got zero support from her parents. Oh god, don’t get me started on that. What a truly idiotic proposal. It’s typical though – the administration’s policy is to punish those who may good decisions in order to rewards those that do not. Love it! We ask our family to contribute to our son’s 529 versus more toys in the house. We have an attic full of like new hand me down toys we’ll wrap up for him, he doesn’t know the difference. Do you hand the kids the cash and let them throw it in the air first? What a great gift! I don’t know much about college plans but I’m sure I’ll do more research when we start growing our family. Well, this is lovely! At this point, we only have one 18 month old (and one on the way) and we also feel amazed at how many toys we have accumulated over the last year and a half. We have literally not bought any toys for our daughter! We contribute regularly to her RESP (Canada) so we completely understand where you are going here. What a great gift! Will you give them a little certificate to open on Christmas morning? How will you tell them? Every time I see an article about 529 plans I slap myself for not starting them for my children yet! Its on my new year’s agenda and 2016 will see regular contributions, even if it’s just $25 like you said y’all started out with! We have relatives in Indiana and we have begged them to open up a 529 account so that we can donate to it. They say, yeah yeah, and then never do it. Last year I asked if they knew about the tax break, and the dad said Yes. And that was the end of the conversation (because it’s DH’s relative, not mine). We auto-deduct for our kids each month. That is really a good gift for your kids, Holly. Though at this time they wouldn’t appreciate it so much because kids are kids, they like toys or something they see. But, later on, when they are already in college, they’d be more than thankful to you guys. Nice present! That’s awesome! You should be very proud of yourselves for planning ahead! I know there are many parents out there who wish they had done what you’re doing. That’s a wonderful gift to give your kids and the tax benefit sounds nice. Student loan debt is something this next generation should try to avoid for the most part. Hi, Great post. I did the exact same thing for my kids. I spent $6K on their RESPs (canadian version of the education accounts) and gave them a choice of what to donate to charity (bought a sheep and chickadees for families overseas). It was the best Christmas! In Canada, you get a 20% return on an investment up to $5K each kid/year. My kids are very young but I wanted to start early to teach them about investing! I feel the same way about my nephew’s education! I never plan to have my own children, but it means a lot to me to help pay for my nephew’s education. Also, my nephew’s birthday is super close to Christmas so he’s got plenty of gifts already. I don’t get to invest hardly anything in the account, but I like to make a graph of the funds in the account to show him how small it was to where it is now. I even print one out so he can “open” it on his birthday – it’s a little ridiculous! When my kids were growing up, we had savings accounts for them. Relatives gave them money for special occasions and through the years, I put it into CD’s. When college rolled around, $25,000 was accumulated. Alas, the oldest dropped out and now has mega loans to pay. But the money is gone. The second worked at applying for scholarships and is doing well. I’m busy trying to help pay for the oldest’s loans. The banks won’t loan money to a student without parent co-signers. So, we’re all on the hook. He pays the minimum required by the bank (which will not even be paid off in 15 years!!) and I keep throwing cash at it as well. With interest rates increasing, it gets harder to pay it off. But I hope to get it done before the 15 years are up.